You know what's cool about riding BMX? You can set up your bike in whatever way you want to. Not only that, but you can put on the parts that you think will work for you. 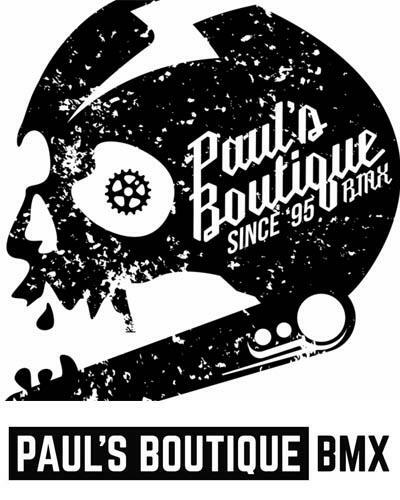 Only a few years ago the only color a BMX dealer would have to stock was black. Now this has changed. Multiple color choices are the norm but it does not stop there. You can customize your bike by doing things like Adam Ortiz did with his seat. 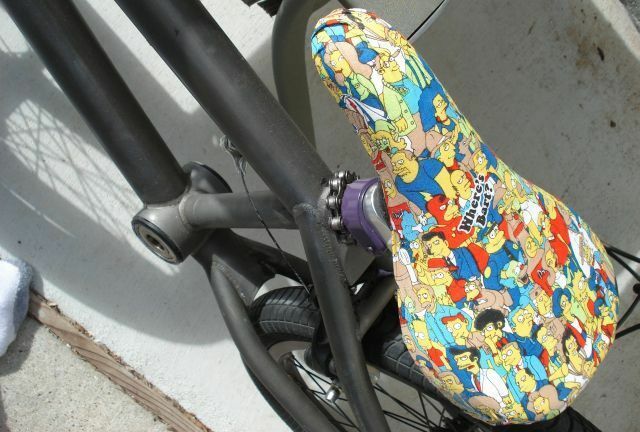 He turned a regular DK seat into a custom Simpsons piece. Be original. Do your own thing, and don't forget to put on your cranks. 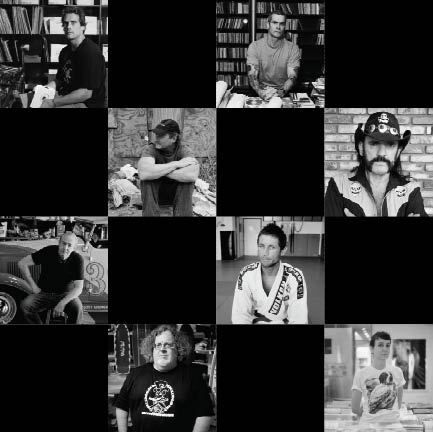 Please join the Vans crew for the Vans x Estevan Oriol ICONoclast Photo Exhibit Opening Thursday, December 11 / 7-10 pm. Food, beverage and silent auction proceeds will benefit downtown LA's Midnight Mission located on Skid Row with their Christmas Day Brunch program. Please be prepared to enjoy the evening, give a little and help spread some holiday spirit. 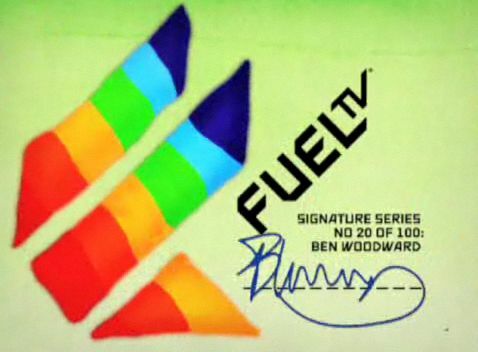 Acclaimed Artist Ben Woodward Joins FUEL TV’s Award Winning Signature Series His network ID inspired by the Muppets and video games. FUEL TV, the only network dedicated to the lifestyle of action sports, is proud to announce the release of its newest Signature Series network ID featuring the work of acclaimed artist Ben Woodward. 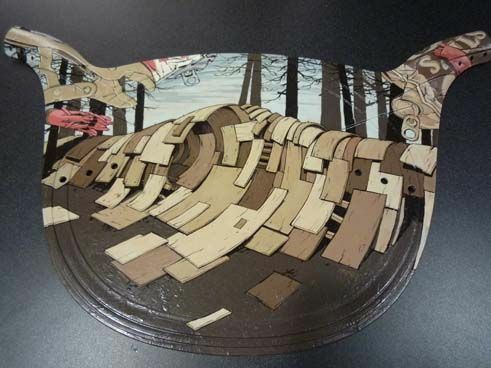 Woodward is the founding member of Space 1026, an artists' collective whose members are inspired by graffiti, fantasy, cartoons, action sports, 'zines, stickers and adolescent notebook art. Jesse Olanday, member of Space 1026, animated Woodward’s Signature Series ID for FUEL TV. Woodward’s inspiration for his promo spot came from various aspects of his everyday life. 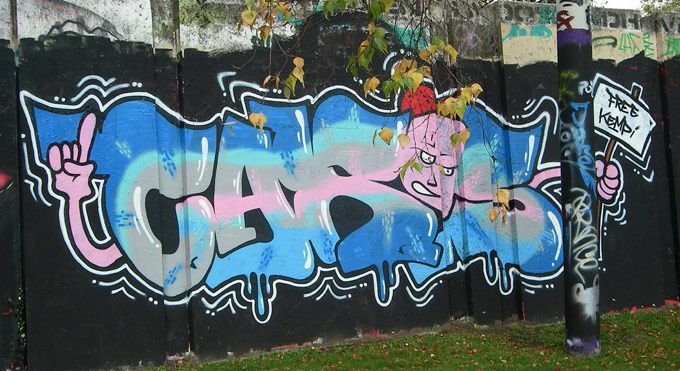 I'm not into the graffiti scene at all. I don't know if there are certain trends, certain new styles, up and coming talents, the hot spots, or things like that. I do know what I like though and it's not everything I see. 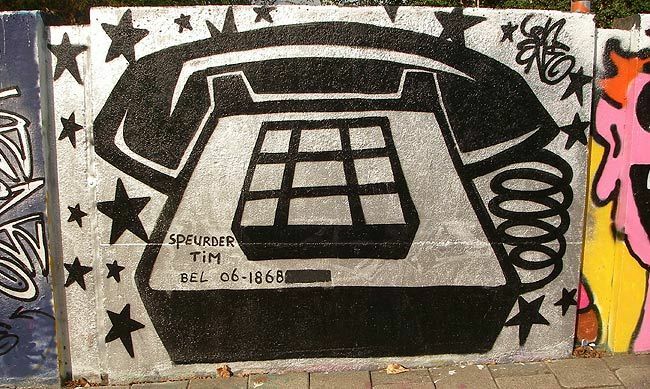 But people need to start somewhere and the Berenkuil in Eindhoven is a spot where everyone can go ahead and put some paint on the wall. Since it's legal, the walls change color often making a trip down there worth it. Here are some more photos. New Graffiti in Eindhoven, NL. This upcoming weekend we're going to the Urban Vibrations in France. They have breakdance comps and also a graffiti expo. I'm expecting to see some good stuff there. Today it was off to De Berenkuil in Eindhoven to see what's new. It was a quick biketrip there with the camera in the back pocket. When I left the camera battery had three bars but after a few shots the red started blinking. I managed to get some photos before it died completely. Here they are. 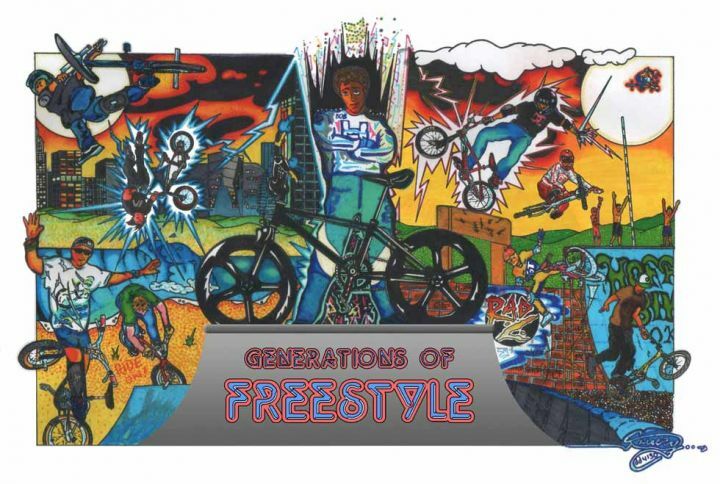 We are not sure who are all the riders in this Generations Of Freestyle drawing but we can spot Dennis McCoy in the top left corner, Ryan Guettler a bit below doin his signature superman-no-footed cancan flair, Dave Mirra is doing that lawnmower, Bob Haro is standing in the middle as the godfather of BMX Freestyle. Josh White makes it on his pink GT and we actually have to guess on the four remaining riders. That might be Chad DeGroot on your right riding flatland, what are your guesses? 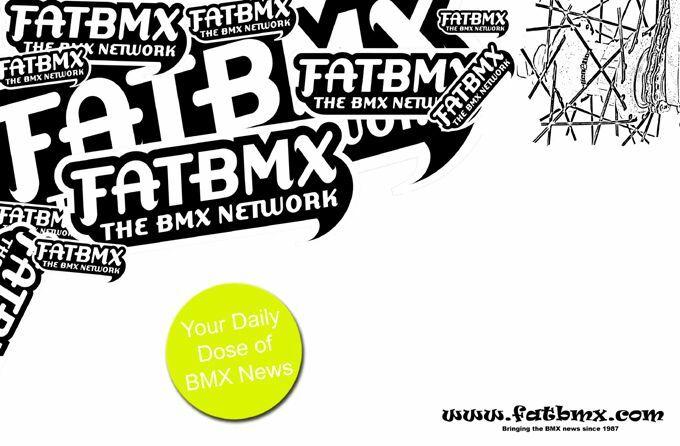 When we come across some graffiti on the road we snap some shots and put it up on the Comic & Art section on the FATBMX site. Next to the skatepark in Antwerp, underneath the Noorderlaan bridge, we spotted these pieces and Voila, they're on the site now. The skatepark actually has signs up that graffiti makes the surface dangerous/slippery so the next best option is the bridge. As many of you know, Dylan Dean is holding a fundraiser for former BMX pro Tara Llanes who ended up in a wheelchair after a nasty crash. Though most of the items are based around the sport of MTB, Dylan did receive a couple of items that he's going to add to the EBAY Auction. 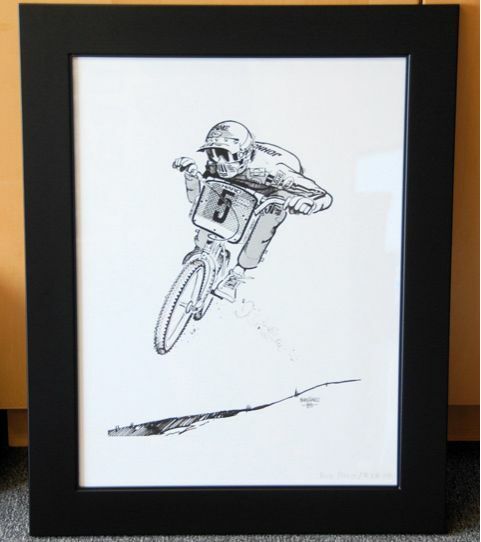 One such item is the BOB HARO One-of-a-Kind Drawing. There is nothing on the ebay auctions stating that it's for the Tara Llanes Fundraiser. Dylan assures you, ALL PROCEEDS GO TO THE TARA LLANES 'ROAD TO RECOVERY' FUND. Dylan had issues with ebay removing his listings because he said that it would benefit the fund. He just wants someone who would appreciate this item to win it.